As an Ark voter, it’s important that you get as much information about a delegate as possible whilst knowing key facts and figures that help you make your decision on which delegate to choose from the 51. We realise that every voter has a different stance on what they want to see a delegate do, which is why in this proposal we’ll be highlighting what we have achieved in the past, what our plans are for the future and the three areas of the TGH Ecosystem. We’ll wrap this all up by telling you what you stand to benefit from for voting your Ark towards us at TGH. TGH Society represents all our efforts towards contributing to the cryptocurrency ecosystem, both within our own network, Ark’s network and the wider crypto sphere. We believe in creating content that is useful and informative for all kinds of users, whether it be those experienced with blockchain and the newer users who are just discovering cryptocurrency. As voters you also want to know about the Ark community, we help build this bond between people via our long running engagement series called the Ark Community Digest articles, where every Monday we interview a member of the Ark community so everyone can get to know them a bit more. Click here to read these articles! The services section of TGH will be the area of focus for us in the long run as we look to create quality software applications for the wider crypto community as well as the Ark Ecosystem. We’re big fans of accessibility and making things easier for everyone so lots of our smaller services will be based around helping people understand and get involved with cryptocurrencies and particularly Ark. Our first software service is Arkvatar, a way to crypto-personalise your address using a unique character and QR code. Since launch we’ve had over 500 Arkvatars created! Make sure to make your own by clicking here! As we come from a tech background it makes sense for us to move in the direction of making applications and it’s something we’re really excited about creating. As mentioned in the past… our Loot Points service will allow voters to get extra access to services and even discounts / free merch, by choosing Loot Points when voting for us in the future! Included in our Services section of the Ecosystem is the promise that we’ll upkeep the Ark network, we can do this by ensuring that our forging node is supported by further relays. In total currently we have 5 permanent relays and our forging node. We pay out 75% of forging to voters in the form of weekly payouts. The rest of the total is used in different means to secure the network and grow Ark, which we believe we have already shown to be happening through our articles and initiatives. 5% of the total goes to the ACF funding that the majority of delegates are also committing to. Our current servers and their specs, can be found in the side bar. We’re happy to run 5 relays for the foreseeable future but will increase if we deem necessary. On top of this we also have one devnet node. This is the section where we wrap up everything we’ve discussed above and let you know why exactly this should make you want to vote for us as your delegate. Firstly we’d like to say that as a voter you’re incredibly important to us, after all you give us the motivation and influence in order to help grow Ark and continue what we love doing which is working on things under the TGH brand. Ark is something that we’re incredibly passionate about and have been members of the community for over a year. So as a voter of the TGH we are always looking back for ways to reward you — whether that be through voter raffles, wall art giveaways, Ark competitions or Software & Merchandise for everyone to enjoy! Like all delegates we give forging rewards back as payouts to our voters. We currently share 75% in a weekly format, which we make sure to notify through the delegate channel in the Ark Slack and through the smart bridge section when sending transactions on the Ark network. We do frequent raffles and competitions for the Ark community and voters as mentioned earlier in the article, so don’t miss out on getting exciting rewards for voting for us as your delegate. We’re always looking to update our voters, the two best ways to keep up to date is through the Ark Slack or on this Medium Blog as all of our updates generally come accompanied with a blog article so you can keep track of all of our news and features. We feel this is a good benefit for voters as we’re incredibly active and constantly working on things for Ark and the TGH Ecosystem. Loot Points has been briefly touched upon prior in this article, it’s a system we are developing where voters will be able to tailor their payment settings to choose between the amount of Ark and Loot Points they want to receive from voting for us. LP will be usable in our merchandise store to get discounts or even free items and also in our software services to unlock cool features! We’re going to be continuously expanding upon this when it is released. We’ll be launching a system before the end of the year which will allow any of our voters to see some of our ideas in development before they are released and even get a say in how things get created. It’s a good way to feel connected to us more and we’re super stoked on having our voters input! 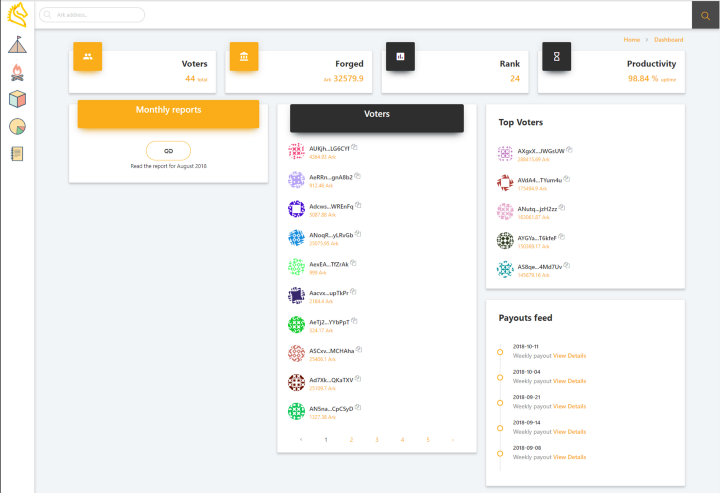 Our website has a voter dashboard so you can easily check if a payment run has been made as well as look over your balance, co-ordinate with our payment history and ensure everything is going smoothly! This can be accessed here through the dashboard. If you’re a fan of being apart of a movement that aims to grow Ark, then you’ll like us and feel right at home in our community. 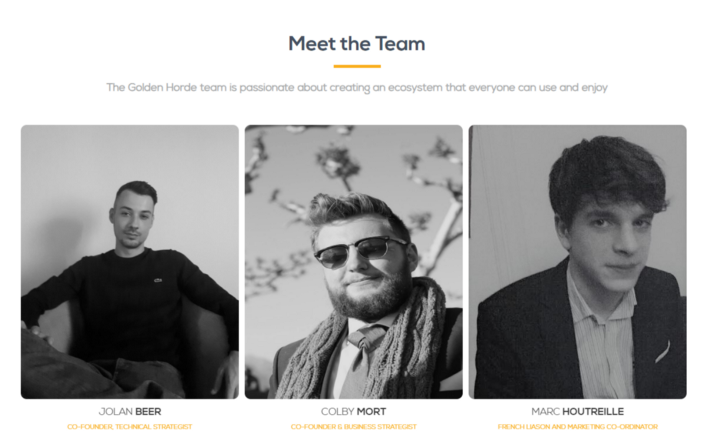 If you enjoy seeing crazy ideas come to life, awesome artwork being created, software services and fun ways to enjoy cryptocurrency and blockchain technology then you’ll fit right in at The Golden Horde. Alternatively if you just want a stable delegate where you tailor what you, the voter can get out of a delegation then you’ll also perfectly fit in with us as at the end of the day we value transparency and the ability for our voters to command their own preferences. If you’re a new voter and looking for a delegacy to call home, look no further than The Golden Horde. Updated: Added further merchandise progress and an indication to our temporary payout percentage whilst we implement our sliding scale system! The artwork is beyond amazing!!! I am just astonished in the craftsmanship and detail!!! I look forward to bridging a gap between us, to further bring more value to the Ark Network!!! Looks like your connection to The Golden Horde / Cryptocurrency Merchandise Business / Loot Point System + Golden Crates / Sliding Scale Payout (90% Temp) / TX Covered was lost, please wait while we try to reconnect.